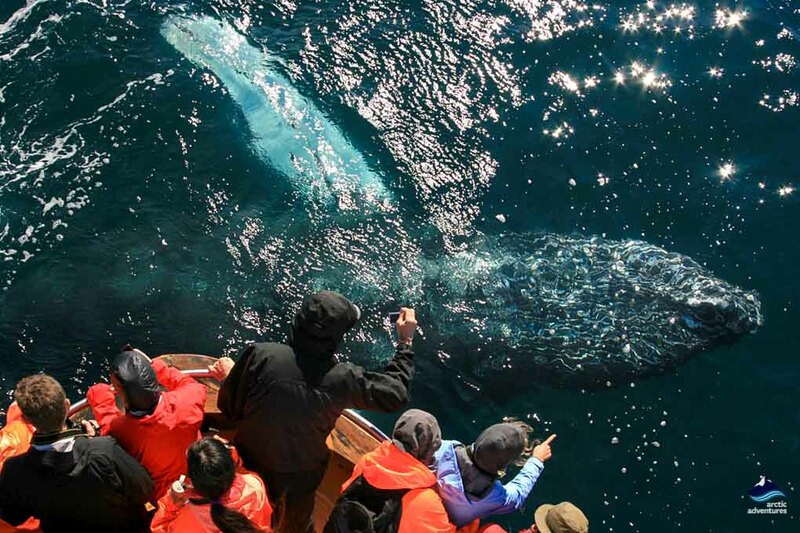 Dalvík is a colorful and charming fishing village in the North of Iceland known for splendid skiing slopes and incredible whale watching tours where up to nine species have been spotted on one tour! Let’s find out all about this place! How to get to Dalvík? 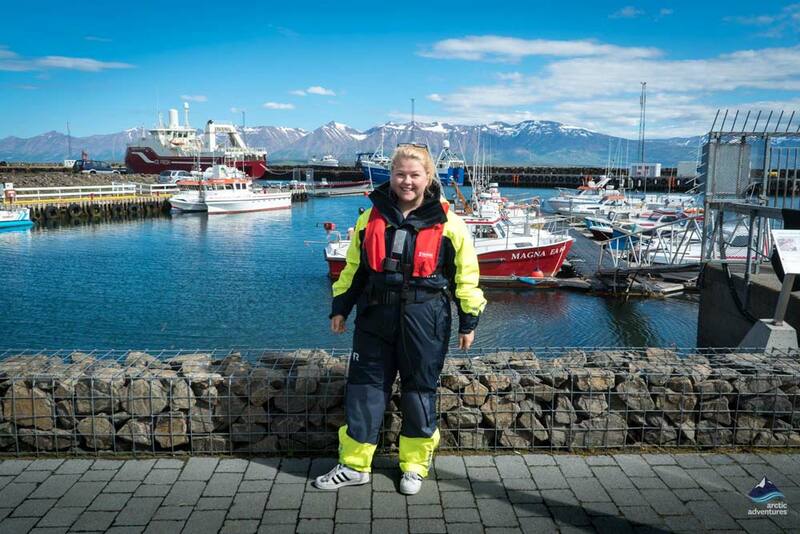 What to do at Dalvík? 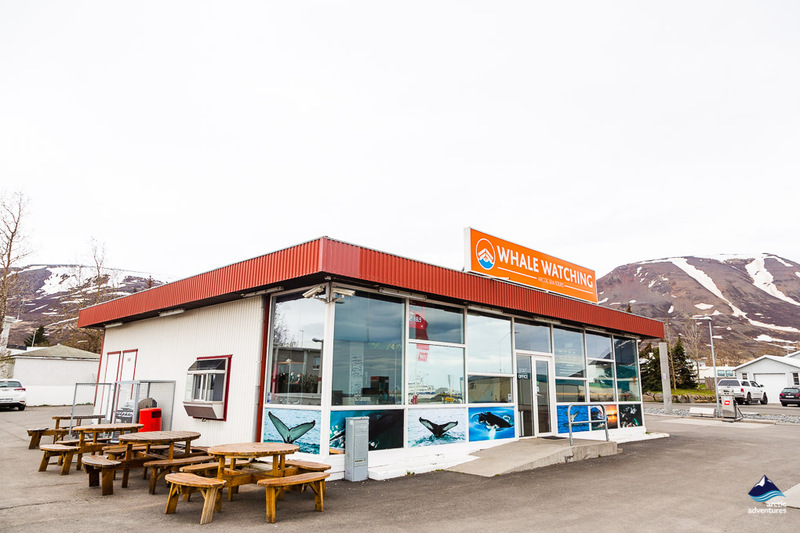 Where to eat at Dalvík? 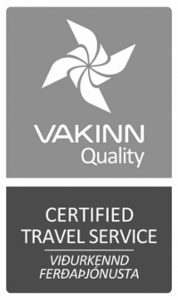 Where to stay at Dalvík? 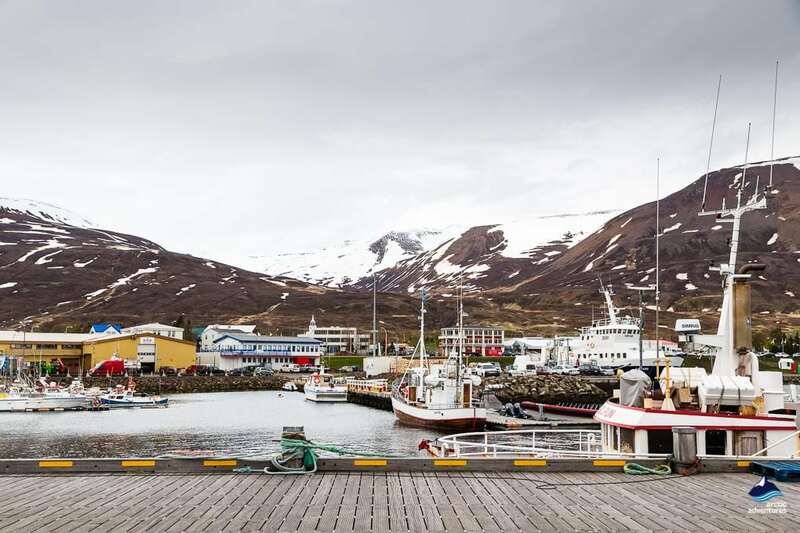 Dalvík is an incredibly charming fishing village in the North of Iceland only about an hour’s drive from Akureyri, which is often referred to as the capital of the area. The village sits at the eastern coast along the fjord Eyjafjörður, framed in with mountain ranges at each side. The peninsula it sits on is named Tröllaskagi but that would translate to “Troll’s peninsula“. 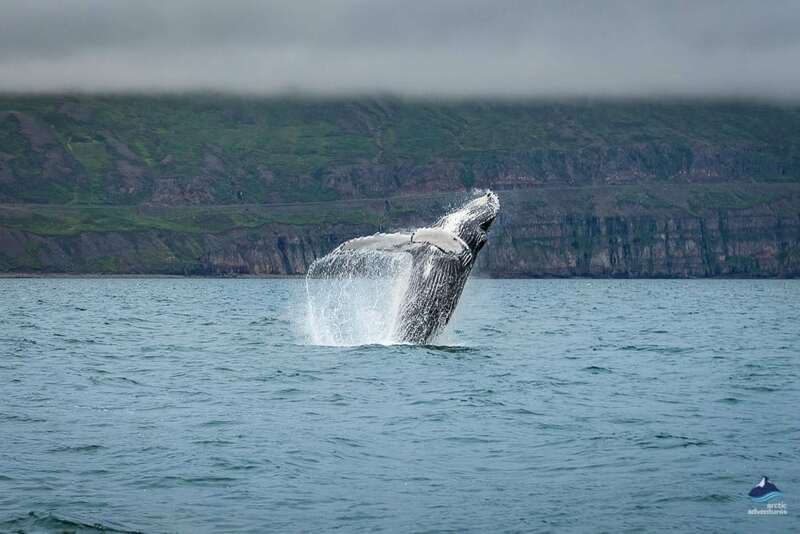 Dalvík has a population of about 1500 people and the main industries are fisheries and tourism but the area is known to be one of the top spots in Iceland for Whale Watching. 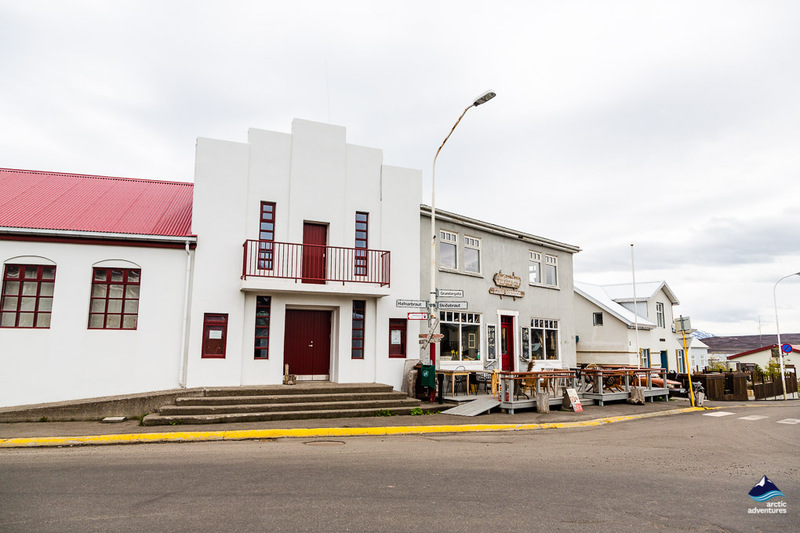 The village is a relatively new one, even on an Icelandic scale and didn’t form until the turn of the 20th century. 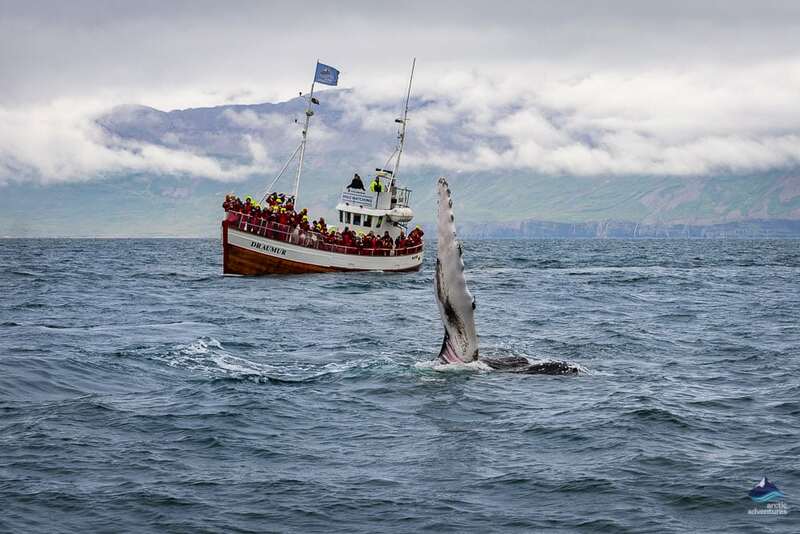 The reason for its formation was the herring that filled up the fjords surrounding Dalvík. Fishermen came all over to take part in the herring golden-age and since then the village has been one of the biggest ports in the area. The port you see today was built in 1939 but before that time were only wooden piers that were always getting ruined by icebergs and bad weather. This Golden Age of the Herring is still today celebrated at the annual village festival, Fiskidagurinn Mikli where everyone in town donated their services for a day and free fish dishes are given all around the village. 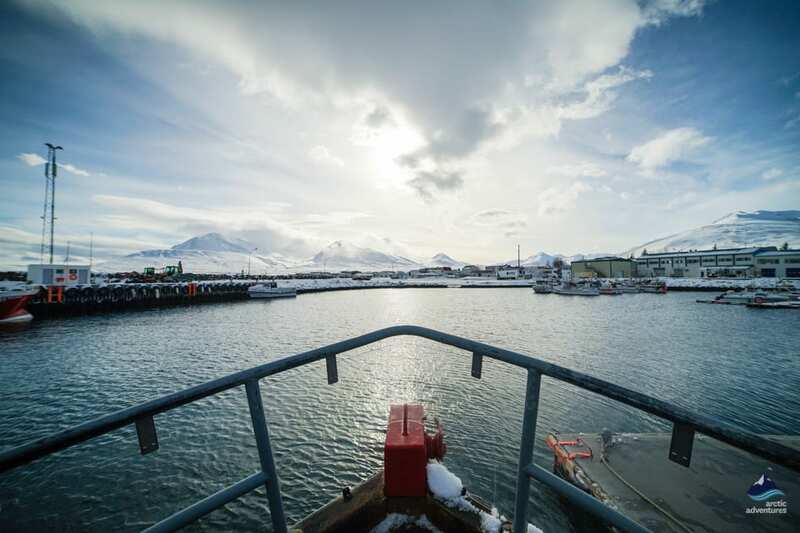 From Dalvík you can also take the popular ferry Sæfari to the island of Grímsey but the island sits right at the Arctic Circle and marks the northernmost populated island of Iceland. And at Árstaðaskógur not far from Dalvík you can catch another ferry to Hrísey island. 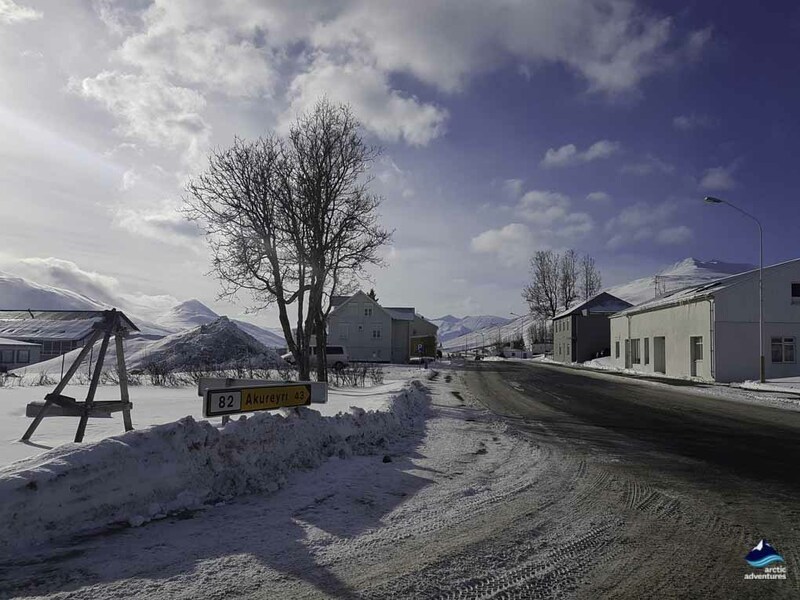 It is a very young village – even on an Icelandic caliber! 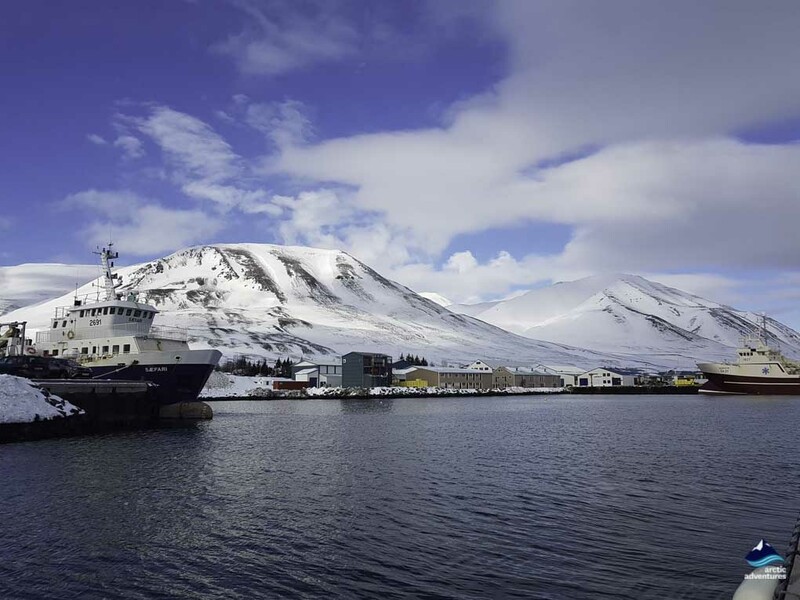 You can take a ferry from Dalvik to an island on the Arctic Circle called Grímsey. 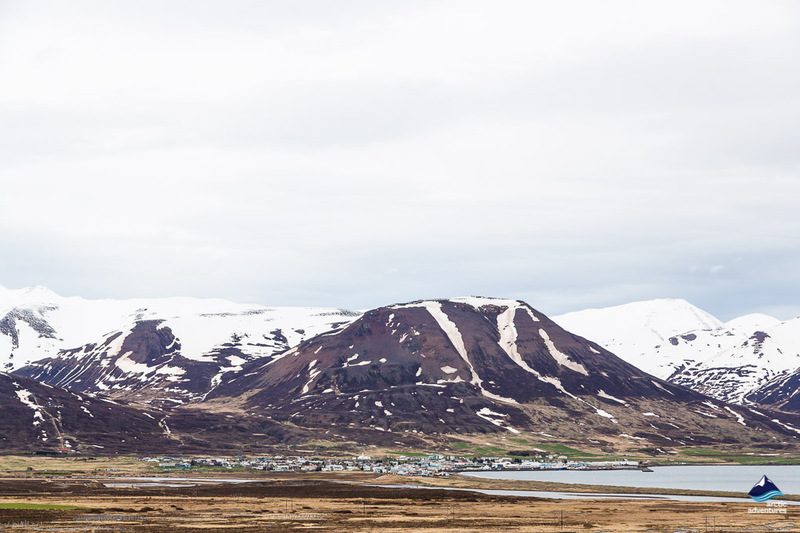 Dalvík is known for Heli-Skiing and the surrounding ski areas are excellent! In 1934, the most powerful earthquake ever to occur in the area shook Dalvík and ruined homes of 200 people. Today you can learn about it at the local Hvoll Museum. 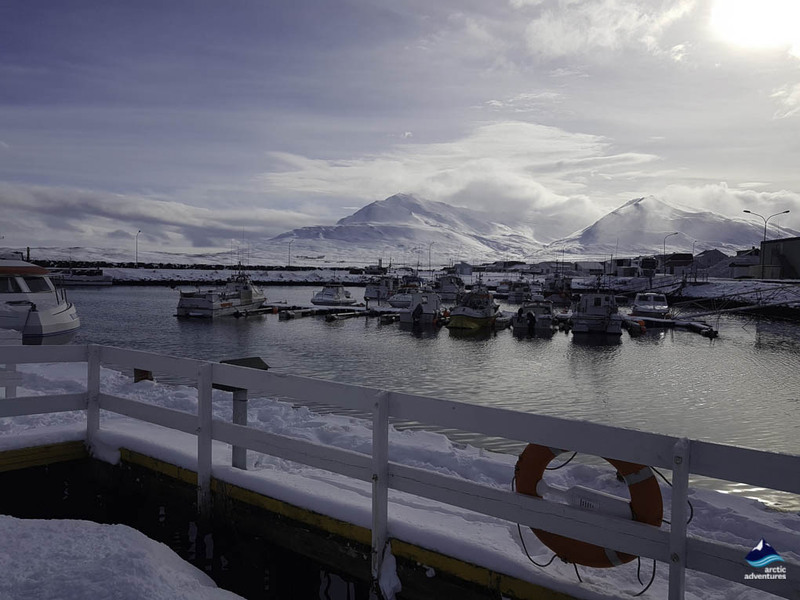 There are two even smaller villages which are a part of the Dalvík municipality which are called Hauganes and Árskógssandur. 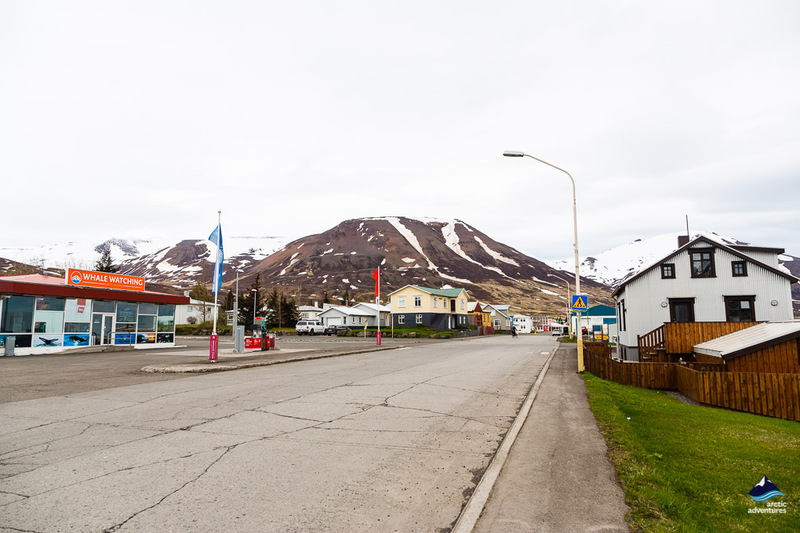 Dalvík’s postal code is simply 620. Dalvík is surrounded by excellent hiking trails! Eyjafjörður is known to fill up with icebergs from Greenland in winter. Dalvik is a name of a certain virtual machine project which was designed for Android. The original author had just finished reading a series of translated tales by Icelandic creating it and thought it might be fun to choose an Icelandic place to name it after. Dalvík is located at the Tröllaskagi peninsula in the Eyjafjörður fjord in North Iceland. It is about 411 kilometers (255,3 mi) from Reykjavík, 43,5 kilometers (27 mi) from Akureyri and 291 kilometers (180,8 mi) from Egilsstaðir. There are a few ways of going about reaching Dalvík. 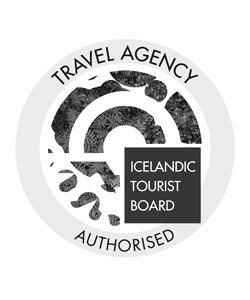 You can take the bus, you can get a rental and drive all the way or you can catch a flight to Akureyri and rent a car or take the bus at the domestic airport. The Bus option will pretty much take up the whole day but you will get to enjoy the views and maybe meet some new friends on the way. The bus 57 from Reykjavík to Akureyri leaves from Mjódd daily at 9 am arrives at Akureyri – Hof 3:30 pm. 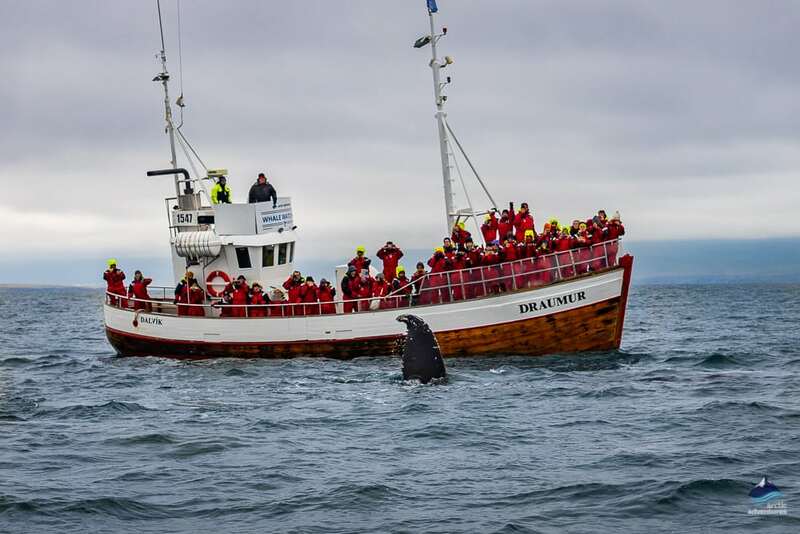 Then you will need to take the bus 78 at 4:30 pm from the same stop (Akureyri Hof) and will arrive at Dalvík at 4:30 pm. The Flight option is available every day but in winter flights are often canceled due to weather so you might want to keep that in mind when planning your trip. You usually have the option of four flight daily first one really early in the morning and the last one about 8 pm. The flight time is 45 minutes. Driving from Reykjavík to Dalvík will take about 5 hours in total but a little more if you make some well-deserved stops along the way. Driving out from Reykjavik you will be heading in a northerly direction passing mt. Esja and driving through the undersea level tunnel which crosses Hvalfjörður. 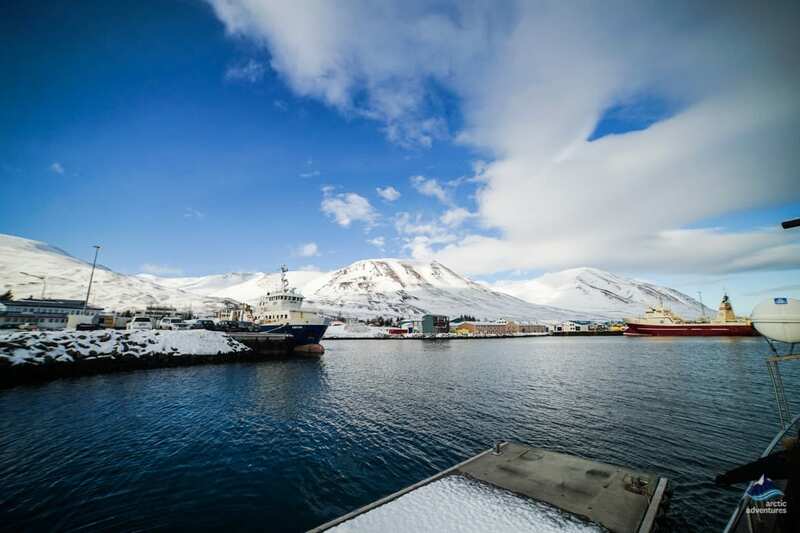 After about an hour you are in the charming village of Borgarnes (ideal from lunch or snack) and will then continue through Borgarfjörður valley. The route is easy following Ring Road one all the way through Húnavatnssýsla region and Skagafjörður region before reaching the stop by the fjord where you need to make a right to Akureyri or a left to Dalvík. Make a left onto road 82 and follow the scenic route to your destination. 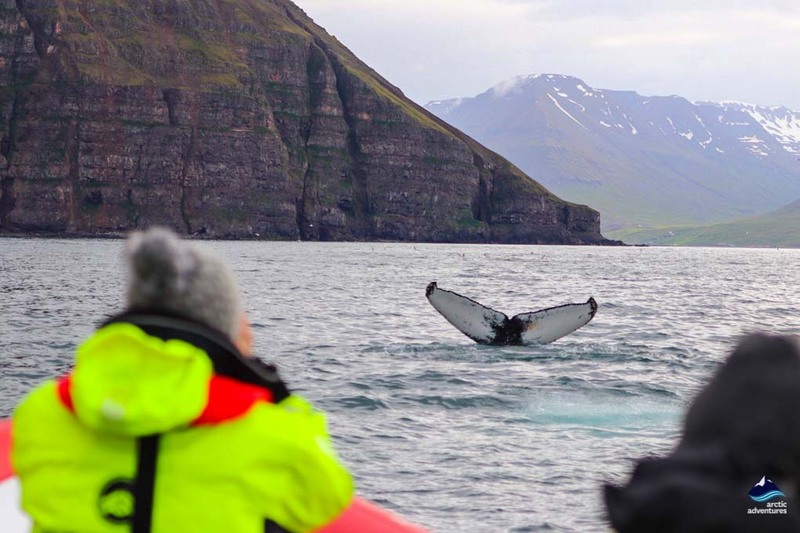 Go Whale Watching – Eyjafjörður bay is known as the best place to go whale watching in Iceland but the advantage of going from Dalvík is fewer boats and more personal and unique experience. 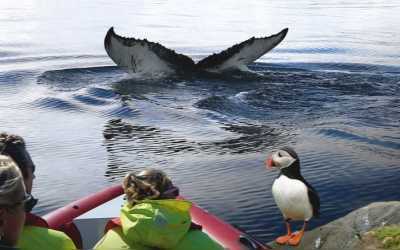 There is even a sea angling experience as a bonus and the catch barbecued when you come ashore – simply delicious! 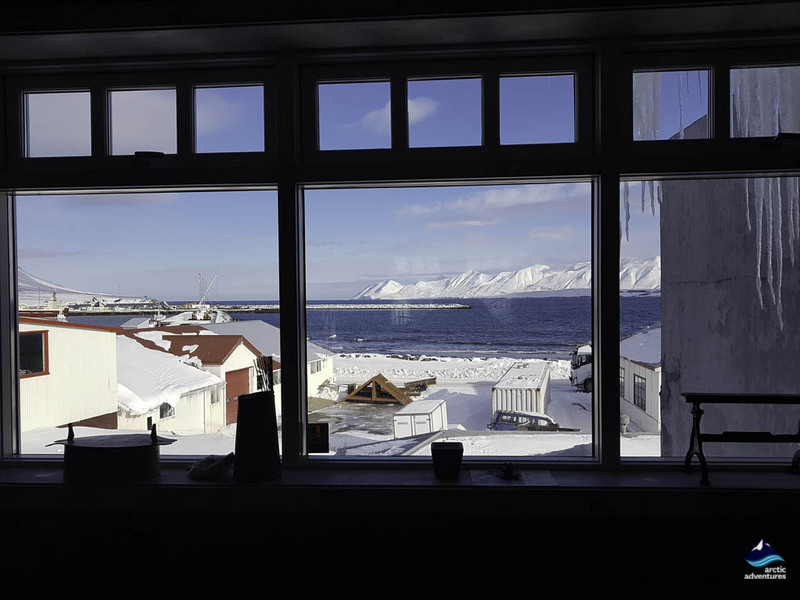 Visit the Hvoll Folk Museum – get a history lesson and learn about the natural occurrences that have affected living at Dalvík. 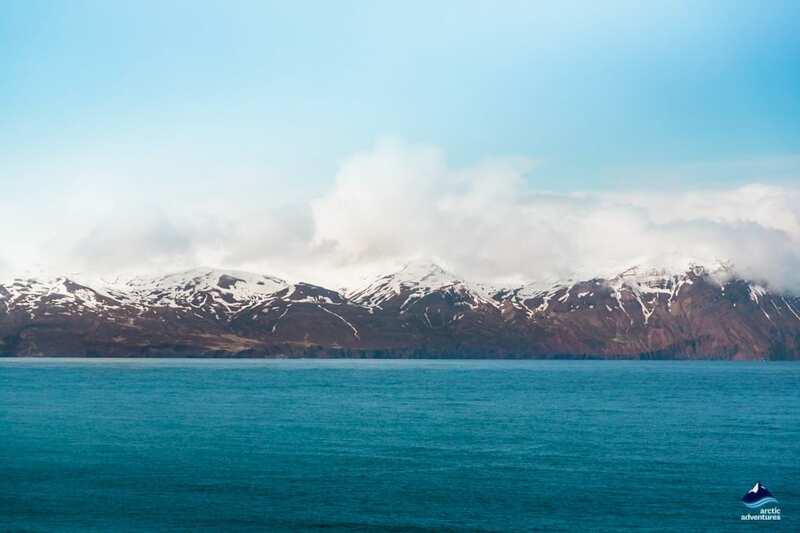 Go skiing (in winter) – the Dalvík slopes are some of the best you’ll find in Iceland and a location this far north means you will have great snow for much longer. The name of the mountain is a tricky one Böggvisstaðafjall but the locals are happy to assist! 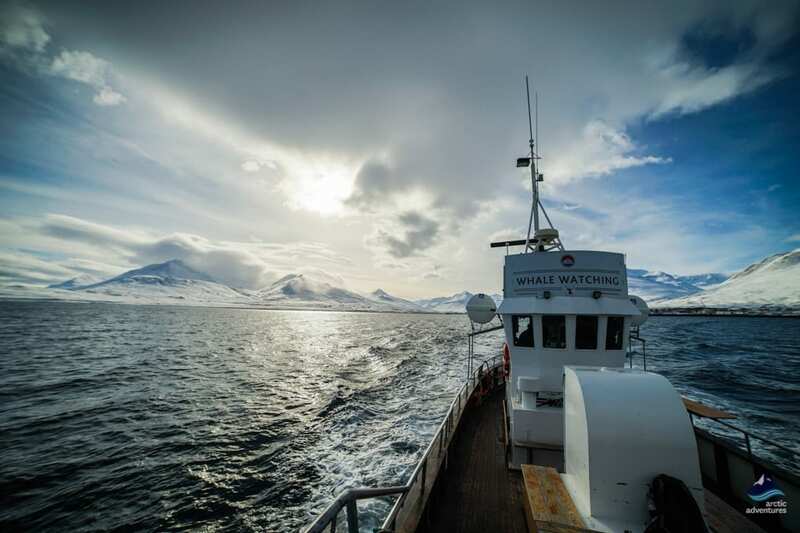 Try some tasty fresh fish – if you are looking for an authentic experience you will find it trying freshly caught fish from the local fishermen cooked with Icelandic ingredients. 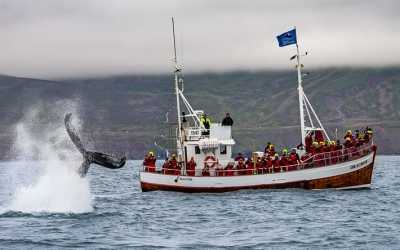 Honestly a mandatory activity in Dalvík. Take a dip in the local swimming pool – nothing says Iceland like a geothermal swimming pool. Soak with the locals! Take a beer bath – the beer is good for your skin and if that’s not a concern of yours there is also a tab for you to enjoy whilst in there! Available for 1, 2 or a group. 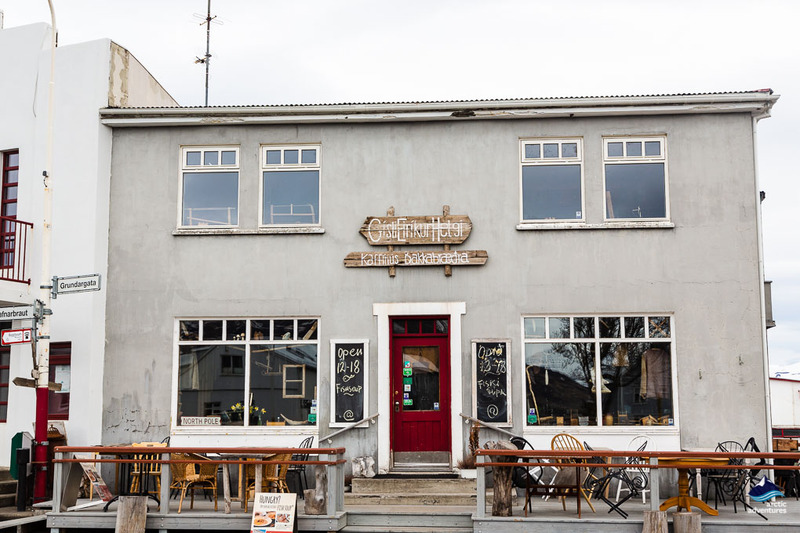 Gísli, Eiríkur, Helgi – this place has it all, incredible interior taking you back in time in Icelandic history, delicious food with options for vegans and vegetarians and the most friendly staff. 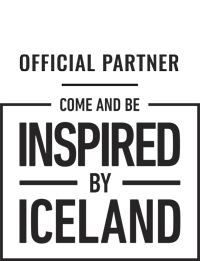 Gregor’s Pub – a local pub with all the traditional dishes + some modern ones to suit the less adventurous foodies. 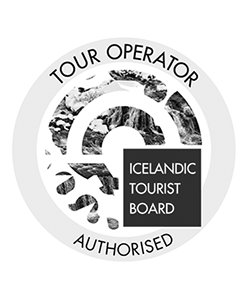 Pizzas, steak, great salmon, soup, hákarl (fermented shark) and so much more. Basalt Café and Bistro – located in a modern design building this is where you go for a great lunch buffet. Simply yet tasty and fair in price. Their cakes are also heavenly. 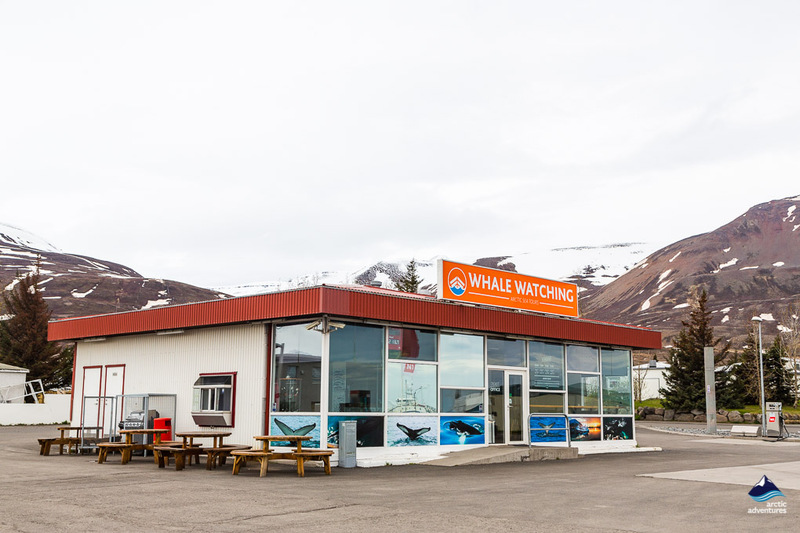 The campground at Dalvík is comfortably located near the swimming pool. The facilities are excellent and include running hot and cold water, showers, electricity (1000 ISK), a playground and wifi. Open from the 1st of June until the 31st of August. Price is 1700 ISK for each tent and 2200 ISK for campers or mobile homes. The price gets lower after the first two nights. 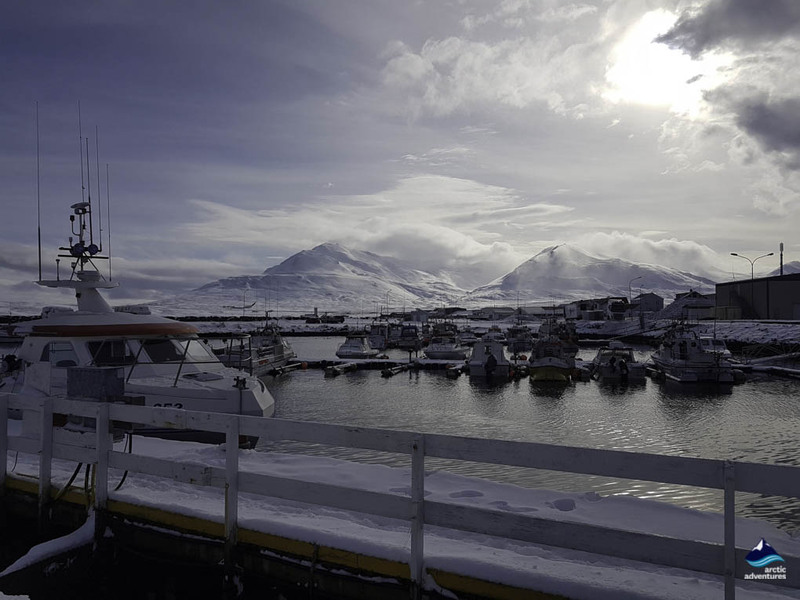 Dalvík is, as mentioned before, a bit of a skiing paradise so visiting in winter is not a bad idea at all. 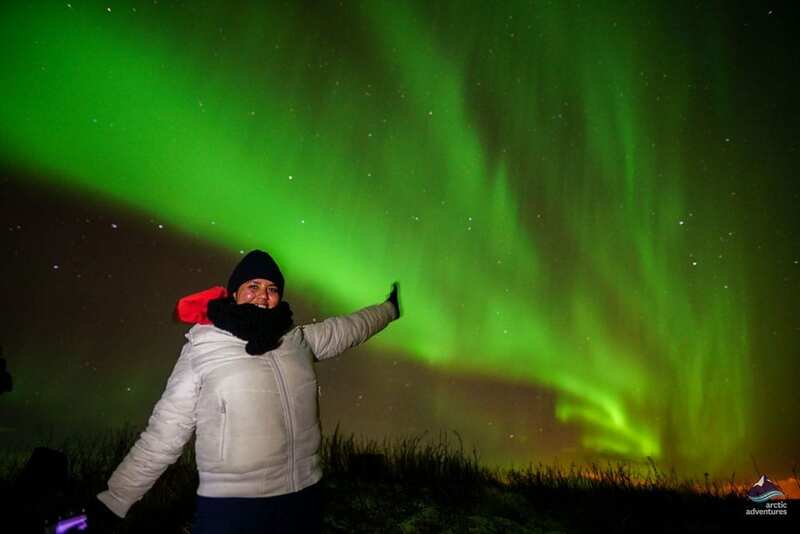 Just remember you are in Iceland even further North than the average traveler so pack proper winter clothing and some thermals/wool underwear. 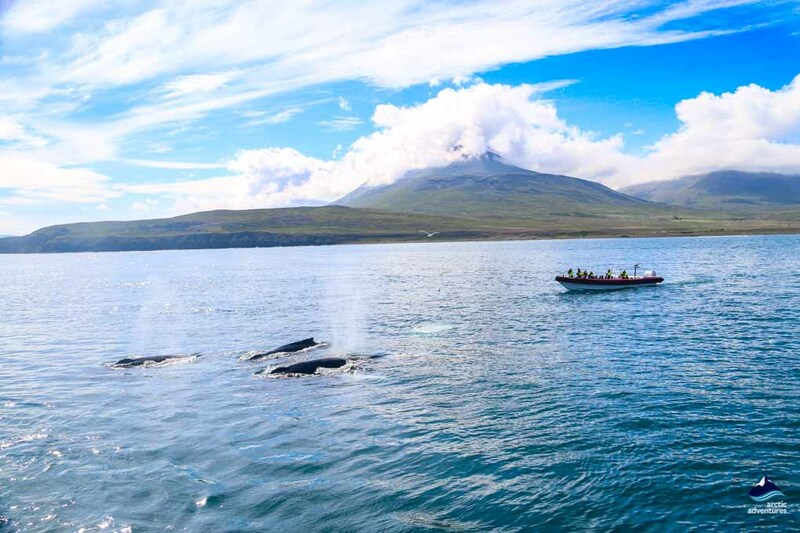 Dalvík is known to be able to run its whale watching tours way into the winter, sometimes all year round so this is also a great option for those visiting in winter. 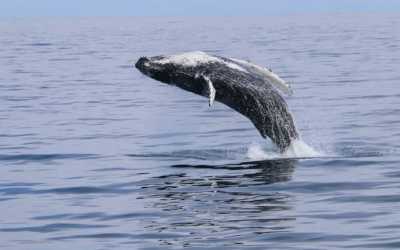 You might even want to do a whale watching and northern lights tour and catch all the Northern Highlights!